According to our source, the official announcement of the sale will be made this week by the Central Bank of Nigeria, CBN. It is confirmed that the deal has been sealed, and is awaiting final ratification from the regulatory body. The acquisition was assisted by the CBN in a bid to further unify the banking industry. 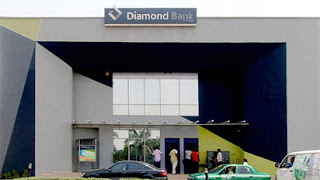 Last week, Diamond Bank announced its decision to drop its international operating licence to focus on national operations following financing issues. The Bank’s Chief Executive Officer Uzoma Dozie, confirmed the evolution in a statement released on Friday. The switch from an international bank to a national bank enables the bank to maintain a lower minimum capital requirement of 10 per cent, as against 15 per cent required for international banks. The bank recorded its worst month on record in November with share down to 0.61k per unit on November 30, 2018.